Generally, we in the West have grown accustomed to having all sorts of produce available to us year-round, regardless of the season. Though the local movement has encouraged some consumers to prefer seasonal produce, many fresh food staples are expected to be in grocery stores at all times. Some of this extreme obtainability is due to a well-organized (if yet environmentally unsustainable) food transportation industry, which connects consumers to far-distant agricultural communities in the Southern Hemisphere. However, a large portion of unseasonal produce comes from greenhouses. Greenhouses have reputations as wholesome places of growth, and their contributions of healthy, natural foods are certainly commendable. 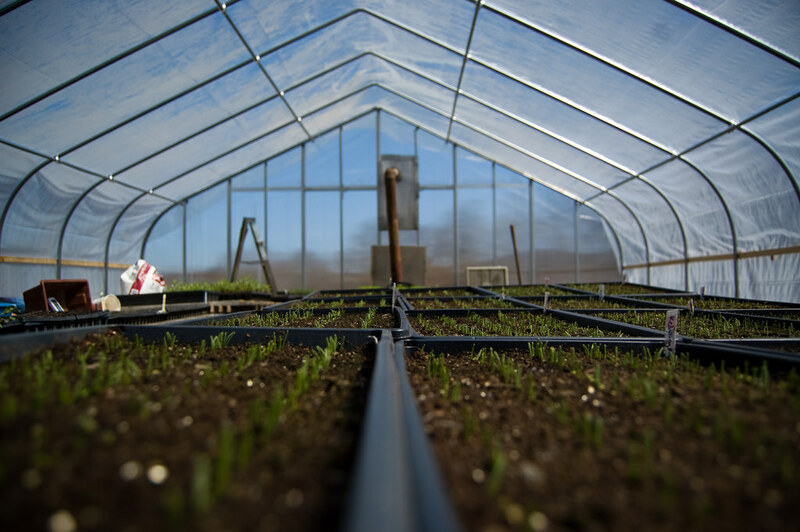 However, greenhouses can require more energy than open agriculture, which is why it is important to encourage those practices that promise sustainability. For thousands of years, the soil, the sun, and the rain were enough to keep humankind fed, but beginning in the ancient area and progressing slowly through time, humans took efforts to regulate light, temperature, and humidity around the world. The greenhouse as we recognize it did not emerge in truth until the 19th century, but several medieval cultures developed some method of controlling growing environments, and even the ancient Romans used rudimentary greenhouse systems. There are several reasons growers through the centuries have struggled to maintain control over their growing environments. Primarily, they provide protection against the harshest weather, safeguarding fruits, vegetables, and flowers against oppressive heat, stifling cold, or torrential storms. However, greenhouses also create optimal growing environments for many plants, ensuring they grow large and strong regardless of the season. Traditional greenhouses create spring and summer environments in the dead of winter while light-deprivation greenhouses can replicate winter light patterns even during warm-weather months. Thus, some greenhouses allow consumers the produce they crave – especially tomatoes, cucumbers, eggplants, peppers, and other delicate foods – year-round. In short, greenhouses, as well as similar advances in agricultural science and technology, have allowed humans to avoid disastrous events caused by unpredictable weather, build nearly everlasting supplies of food, and generally focus our energy on other aspects of civilization. Yet, as beneficial as greenhouses have been in supporting human progress, it is important for greenhouse growers to be careful not to contribute to humankind’s less positive impact on the natural world. Most greenhouses require added energy to create optimal growing environments; growers must install complex and energy-hungry lighting, irrigation, humidity, and shade systems to keep crops growing at ideal rates. According to the Census of Agriculture, greenhouse operations account for just over 3 percent of all U.S. farms, but they employ more than 6 percent of farm workers. While eating locally and seasonally is one solution to limiting greenhouses’ effects on the environment, it isn’t the only one. Greenhouses can rather easily be made more sustainable. First, not all greenhouses consume energy equally. 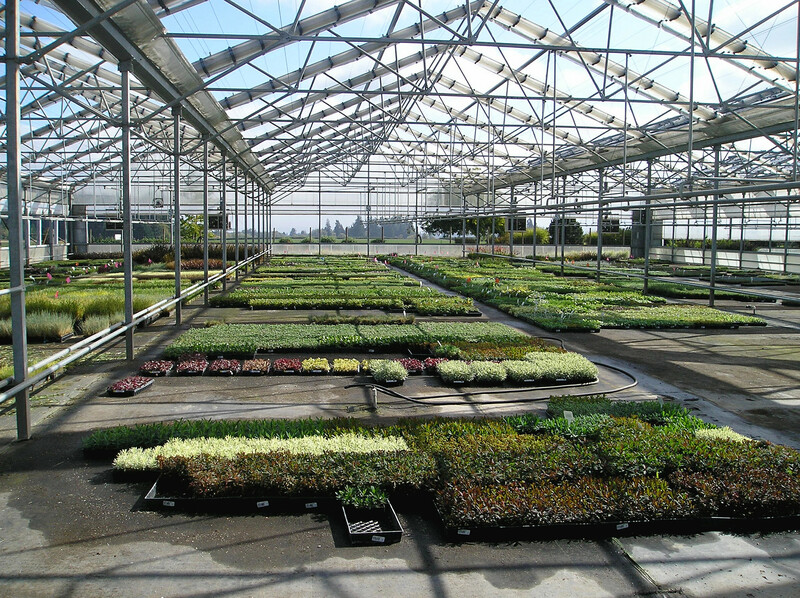 Different styles of greenhouse construction, to include structure sizes, shapes, materials, and systems, have extremely variable energy inputs and emissions outputs. For example, modular multi-span greenhouses are less energy-consuming than individual tunnels, and plastic coverings provide better insulation for more efficient environments. Additionally, certain crops require more energy than others, so planting them inside greenhouses is destined to increase energy usage and emissions production. For example, marijuana is often criticized as America’s most energy-intensive crop; the plant is rather sensitive to begin with, requiring specific moisture content and light exposure, and since it is so profitable, growers are extraordinarily precious with their crops, adding even more energy than necessary. However, not all crops require such attention, especially in greenhouses. Plants that can tolerate some temperature fluctuation, like root vegetables and members of the cabbage family, are desirable because they don’t require energy to heat or cool the space, and these plants typically also flourish in the shade, negating any need for artificial light. Greenhouses have made remarkable strides in helping humanity grow needed crops despite fluctuating weather patterns. And modern, technologically advanced greenhouses can improve processes even more while simultaneously reducing the effects of agriculture on the environment. Making small changes to how construction and use of greenhouses should reduce their dangers while continuing to exploit their benefits. McLaren’s Headquarters Is Essentially a Massive Supercar Factory As Mind-Blowing As The Company’s Vehicles… Take a Look!